If your little ones aren’t back to school already, they soon will be. Mine have another few days off yet, so there’s a bit more time to try and get back into a bit more of a routine before it all begins again. Although they love the holidays they also enjoy school, so they are looking forward to the start of term, even if it means earlier nights from now on for a while. One thing I noticed during the last school year was how much the children’s handwriting improved. They really made an effort to make it neater and smaller and it paid off. Handwriting is one of those things that comes with time, but it is really important. It’s a fine motor skill and builds connections to the brain, as well as improving concentration. Neat writing comes with practice, so let children play around and try out different approaches. If your child is left handed it can help to ask a left-handed adult to show them how to hold their pencil correctly. You need someone who writes without twisting their wrist or the paper ideally. 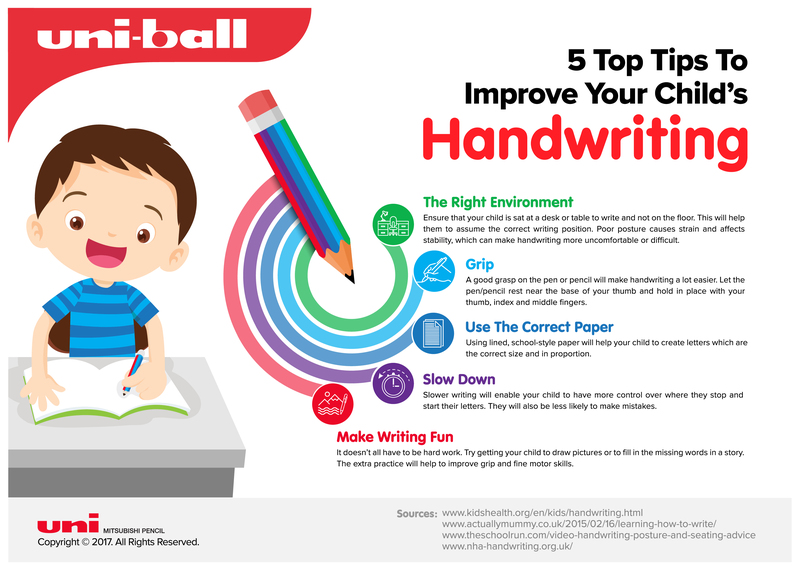 If you are keen to know more about how to improve handwriting, have a look at this useful infographic from Uniball, which shows a number of ways you can help your child. 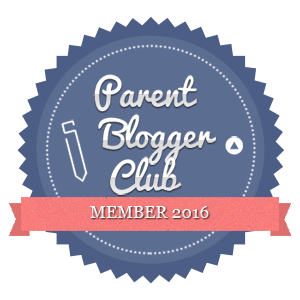 Is your child left or right handed? How have they adapted to writing? 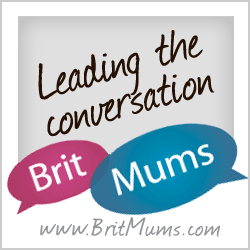 Have you any of your own tips to share that could help other parents support their children? Do let us know in a comment below.